The connected consumer culture empowers children far beyond their abilities to regulate themselves, while eroding our abilities as parents to regulate them. An increasing number of parents today find it hard to manage their roles in their children’s lives, and often enough, they feel “managed.” As parental and educational authority shrinks, youth violence grows to alarming proportions, and family crises around child violence become the most frequent complaint in today’s parent counselling clinics. Parenting is not just about warmth, nurturance, and protection. It is also about resistance, persistence, and differentiation. Facing child violence, there are times where warmth and nurturance need to go hand-in-hand with some form of struggle. 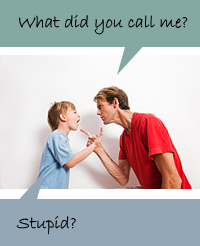 Yet, is seems that parents have long forgotten how to lovingly struggle with their children’s aggressions. All too often, the need to resist children’s violence only drives parents into aggression, victimization, and helplessness, which creates further distress and escalation. In the sociocultural atmosphere of the “developed” world, there is no possibility of reinstating “yesterday’s” authority. What can it mean in an age when the extended family institution is disintegrating, divorce is almost as prevalent as marriage, working hours outside the home are extended, and permissiveness and individualism reign? On the other hand, does this really mean we can dispose of the very notion of parental authority? Research initiated in the 1980s demonstrated that permissively educated children tend to have lower self-esteem and higher tendency for violence, drug dependence, and delinquency. Over the past 15 years, psychologist, Haim Omer, and his associates have applied the principles of non-violent resistance (NVR) to redefine parental authority as a form of self-anchored and network-supported presence in children’s lives, which can be achieved via nonviolent struggle. Since beginning this work, thousands of parents have crossed from helplessness to empowerment using the simple wisdom inherent in the principles of NVR. Historically “New Authority” is the first implementation of NVR principles to deal with acute behavior problems in family settings.